JM Series Grinder is a new type of equipment for the wet type super-micro processing, suitable for the homogenization, emulsification and comminuting of the emulsions. The machine has advanced design, it can adjust rotate speed of millstones according to different demands from different materials, and users can exchange optionally the blast motor at different materials and working condition. The machine has ascendant efficacy (comminuting of the emulsions, spread around, emulsification, suitable for the homogenization etc. ), the granularity processed can reach 2-60μm, the homogenization reach 95%. It is widely applied in the industrial productions of food (Peanut butter, sesame jam, soy milk, dairy products, soft drinks and etc. ), medicine (syrups, nutrition liquid, Chinese herb extracts, poultice and etc. ), daily chemical products (tooth paste, cosmetic, washing agent and etc. ), chemical industry products (pigment, dye, dope, lubricant, petroleum activator and etc.) and in the flotation and emulsification of the explosives. Our small electric peanut grinder for home use is suitable for whole grains with the grinding fineness of 50-200 mesh and production capacity of 20-40 kg/h. The whole machine is made of stainless steel with luxury structure, low noise, fine grinding and no dust. The operation is simple and convenient. The food processed by the grain mill can meet the GMP food hygiene requirements. The peanut grinder is suitable for processing whole grains and traditional Chinese medicinal materials in the supermarkets, including sesame, peanut, walnut, rice, black rice, soybean, red bean, green beans, black beans, lotus seeds, corn, sorghum, barley, buckwheat, oats, almonds, etc. 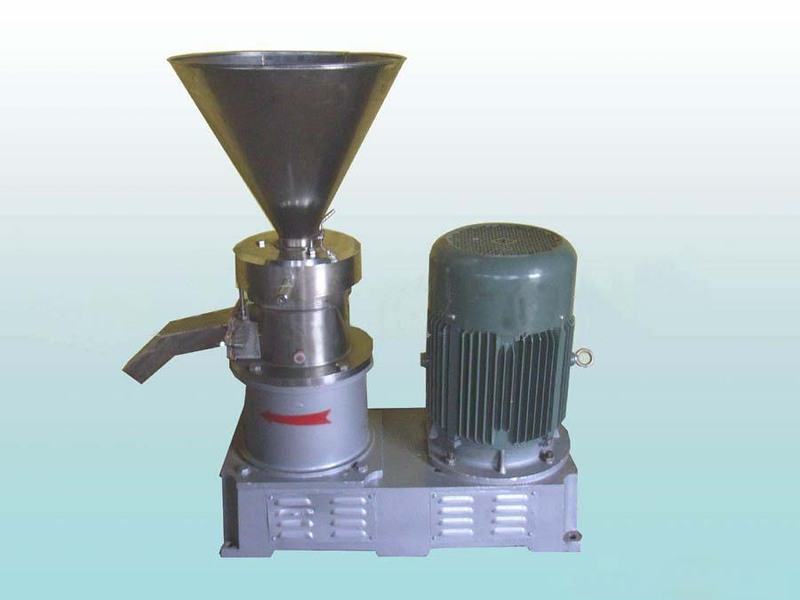 When the motor of small electric peanut grinder starts running, the connecting shaft and millstone connected with the shaft run together. The material is fed from the hopper into the grinding cover. The crushing force generated by the relative operation between the packing auger of millstone and grinding cover can grind the material into small particles, which would then be brought into the space between the two discs by the spiral movement of the auger. The relative operation of insection of the disc would make the material been crushed into fine powdery particles in a short period of time and flow out from grinding tooth ditch and thrown around, then bring down by the scraper on the millstone and flow out from the powder outlet.